InkTonerInc franchise business opportunity. Free InkTonerInc business franchise information. Thousands of customers nationwide rely on INKTONERINC for printing supplies such as inkjet cartridges, laser toners, copier supplies, fax cartridges, printer ribbons, labels and specialty papers. INKTONERINC stores offer substantial savings on products almost every business and consumer needs on a regular, recurring basis. The market for these products is tremendous, and are repeat sale items building customer loyalty and compounded sales. INKTONERINC has built its reputation on savings, quality and customer service as key and important ingredients in their success. The customer comes first, and that is reflected in the company’s policies, outstanding service and product guarantees. 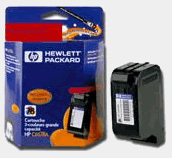 The particular specialty of INKTONERINC is supplying compatible inkjet cartridges at huge savings over retail brand cartridges. Savings of up to 80% are common. These compatible cartridges are generally not available on a retail basis, therefore an exciting opportunity exists to be the first to create a nationally recognized brand. As an INKTONERINC franchise owner, you can be a part of this unique opportunity. In everything we do, one principle above all others has driven our growth. We wanted to create an company focused on creating ever-expanding value for you, our partner. Today, even as we’ve grown, that core focus has only intensified — because we believe that the key to creating value for you is to create more value for customers. This is our hallmark in our efforts to create more growth. All our major accomplishments have been directed toward giving you more reasons to rely on INKTONERINC. By doing this, we also give you the competitive edge over anyone in the industry. Our Franchisees gain unparalleled business advantage through management of their TOTAL business as a strategic asset. You use our maps to gaining customers and maximizing our proven business systems. Armed with this insight, you are able to refine your sales processes to maximize your revenue and investment. In addition INKTONERINC focuses on a niche market that has a huge demand for our products. As an INKTONERINC franchisee, you’ll quickly learn our success is founded on attention to detail. To help establish your franchise, INKTONERINC is ready to guide you from step one with every element of setting up your franchise location. Site Selection and Design: INKTONERINC helps in the details for new sites, which can range from a kiosk, to a modest 200 sq. ft. store, to a facility in excess of 1,200 sq. ft. We select locations in prime high-traffic areas of major shopping malls, multi-use complexes, neighborhood strip malls and other suitable locations. In all locations, INKTONERINC coordinates with you the store layout and design, and assists in the process through construction, fixturing, and equipment installations. Stores are built to design and standard specifications and are usually open within 30-60 days. Training and Support: During INKTONERINC’s one-week intensive training program, You’ll receive instruction on all areas of store operations, from a thorough review of the Operations Manual to hands-on training in our certified Training Store locations. Included in the training program is an introduction to printers, copiers, fax, inks and toners with their components and varieties. The INKTONERINC staff keeps franchisees well-informed of new developments, marketing and promotions information, and operational tips. Our support staff meets with franchisees on a regular basis to discuss new product development, store design, products enhancements, promotional opportunities and other relevant issues. Marketing: You’ll have INKTONERINC’s resources to assist you in coordinating the marketing efforts from the store "Grand Opening" to ongoing marketing programs to assist in driving sales. The promotional materials build upon INKTONERINC’s quality products, while highlighting special offers. In addition, our marketing department is available to assist you for advertising and promotional guidance. Purchasing Power: INKTONERINC negotiates contracts with suppliers for the items required to operate your store. You will benefit from competitive prices obtained by INKTONERINC's combined purchasing power, reasonable minimum orders and good credit terms. These savings will help you to optimize your margins. Operating an INKTONERINC franchise is exciting and rewarding. Your hard work and dedication are essential ingredients, especially during the start-up period. Success demands continued personal involvement, consistent implementation of the INKTONERINC system, and a commitment to marketing your INKTONERINC franchise in your local community. To learn more about the InkTonerInc franchise opportunity, simply complete the form below.